Dante is one of the Toscana region’s best known surnames. It has survived the centuries with the spelling of the name known as either Danty, Danti or Dante. where from here her children spread throughout the Regions. The name is derived from the ancient tribe of Veneti that inhabited the region in Roman times. 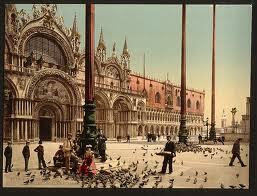 The city historically was the capital of an independent city-state. Venice has been known as the “La Dominante”, “Serenissima”, “Queen of the Adriatic“, “City of Water”, “City of Masks”, “City of Bridges”, “The Floating City”, and “City of Canals”. Luigi Barzini, writing in The New York Times, described it as “undoubtedly the most beautiful city built by man”.Venice has also been described by the as being one of Europe’s most romantic cities. Toscana is, however, where our Branch of the Dante family settled and it is here that the family set their roots for many centuries. 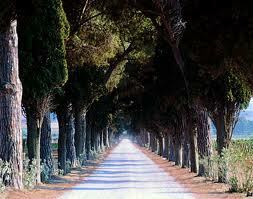 Tuscany is known for its beautiful landscapes, its rich artistic legacy and vast influence on high culture. Tuscany is widely regarded as the true birthplace of the Italian Renaissance, and has been home to some of the most influential people in the history of arts and science, such as Petrarch, Dante, Botticelli, Michelangelo, Leonardo da Vinci, Galileo Galilei, Amerigo Vespucci and Puccini. Due to this, the region has several museums (such as the Uffizi, the Pitti Palace and the Chianciano Museum of Art). Tuscany has a unique culinary tradition, and is famous for its wines (most famous of which are Chianti, Vino Nobile di Montepulciano, Morellino di Scansano and Brunello di Montalcino). So this well established Tuscan family spread throughout the villages of Tuscany and made this region their own. 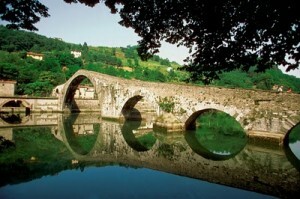 Our branch of the family settled in the Barga Region and are well established in this village for many centuries. We are connected via our Brucciani bloodline. Our great grandmother Eletta Brucciani married Leonardo Quilietti. Her sister Amelia Theresa Brucciani married Francesco Dante. But it doesn’t end there. Eletta and Leonardo’s daughter Erminia Quilietti married her cousin Pietro Dante , the son of Amelia Theresa and Francesco Dante.